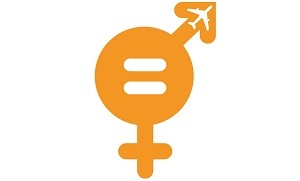 In July, the Women in Aviation and Aerospace Charter was officially launched at Farnborough International Airshow. The Charter now has 61 signatories, showing strong commitment from the sector to increase its diversity. It is important we continue to encourage more sign ups and improve female representation. On Monday 24 September, signatories of the Charter got together to discuss possible steps that could be taken to help improve female representation in the industry. How can we get more women into the industry, and into senior positions? Highlight the economic and productivity argument around having more women in our industry – it is estimated that companies with three or more women in senior management functions score higher in all dimensions of organizational effectiveness. Tackle the issue earlier – tap into the education system to show young women that careers in the aerospace and aviation industry aren’t just for men. More female role models, there can never be too many – women in senior positions should be seen, as it’s encouraging for women in more junior roles to see women in senior positions. Look at retention as well as recruitment – what’s keeping women in the sector if they face barriers to progression and unconscious or conscious bias? Allowing shared parental leave after the birth of a child – this helps lessen the burden and career sacrifice of women who work. Transparency around women in the sector – this has been helped somewhat by the government making it mandatory for companies over 250 employees to publish their gender pay gap, but there is still work that can be done. HR policies – it’s not about quotas, soft targets and messaging work but they’re rarely a strategic imperative for companies hindering their progress. If diversity-related objectives were built into personal progression objectives, the issue could be transformed company-wide. Wellbeing, flexibility and leadership need to be aligned. Stereotypical long working hours and stressful environments might put women off going for the top jobs. Individual company targets – this is important as each company will have slightly different issues and better ways for them to be tackled, the charter recognises this and encourages companies to set their own targets towards the goal of increased diversity and women in the workforce. The support of men in leadership – as men are currently in more senior positions, their support can help create a more diverse workforce. The Royal Aeronautical Society will soon be launching a mentoring scheme for women in the industry; this will provide independent guidance to women from outside of their own companies to help grow their skills. It is important we encourage all companies in the sector to commit to an increase in women in the industry, this could be done through Tier 1s encouraging their suppliers to have diversity targets, or through Sector Deals including a clause for companies to sign up to Charters such as this one. If you are a company interested in signing up to the Charter, you can find out more from Nicholas Goss.